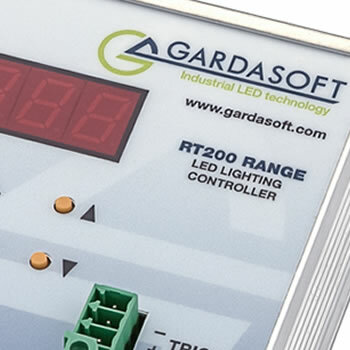 The RT range is Gardasoft's latest generation of LED lighting controller solutions for machine vision applications. Implementing our patented SafePower™ technology, installation is very easy, removing the need of having to use a bespoke DC power supply or heat sinking the controller. All RT models also include our SafeSense™ technology, which enables the safe overdriving of LEDs. To get the very best out of your LED lighting solution, in terms of brightness stability and control, lighting should be driven from a current source, not a nominal voltage supply. 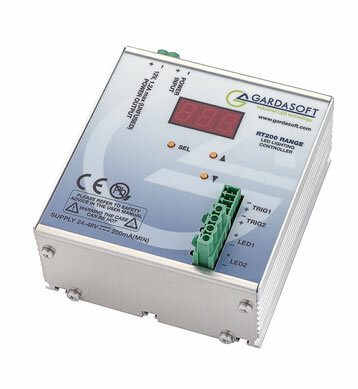 The Gardasoft pulse / strobe controllers are current sources, with the RT200 controller range offering two output channels which are independently controlled. 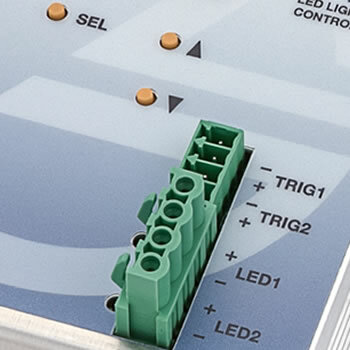 The RT220 / RT260 models can be quickly configured using our free software (which can be downloaded from this page), or for the Ethernet enabled RT220 range, simply by accessing the controller via your internet browser; type in the IP address for the controller into your browser and you have full access to all of the parameters. If you are using a third party software package the RT200 range has a simple command set that is detailed in the manual allowing easy communication. As with all Gardasoft products, all the settings are stored in non-volatile memory, and it will retain these settings even when the Ethernet connection is disconnected. Using our patented SafeSense™ technology, the RT200 range allows you to overdrive your LED lights safe in the knowledge that the lights will be protected from damage. The RT200 series will protect the lights ensuring that the high current pulses are regulated in terms of pulse width timing and frequency. The end result is you get the maximum light possible for your application. 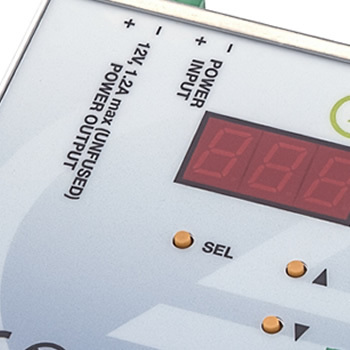 SafePower™ now allows you to overdrive the lights without having to increase the input power supply voltage (which you need to do with the Gardasoft PP range), making implementation and system integration much simpler). Gardasoft Controllers are universally compatible with LED Vision lighting, from manufacturers such as CCS. The Gardasoft White Paper on LED Controller technology is a useful reference for the principles of attaining maximum performance for Machine Vision illumination. Output current From 0mA to 20A in steps of 5mA. Timing repeatability Delay + Pulse up to 10ms: 0.1µS for pulse width and 2µS for delay.